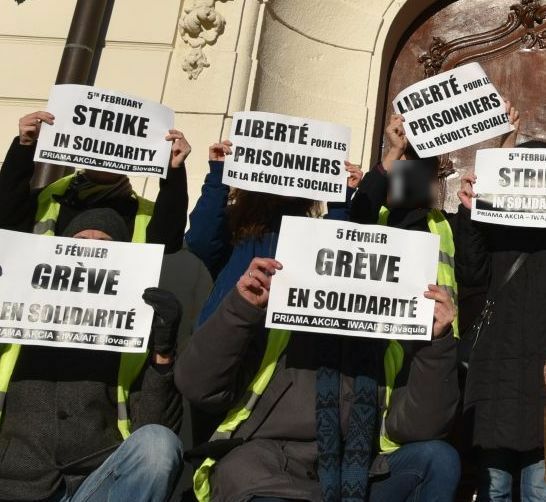 Several sections of the International Workers‘ Association responded to the call for solidarity from French CNT-AIT. So far we have heard about ZSP in Poland, KRAS in Russia, SolFed in UK and NSF in Norway. In Slovakia, Priama akcia organized a visit to the French embassy in Bratislava. Recently, an unpleasant thing happened to our comrades from WAS union: their organizational finances were stolen. 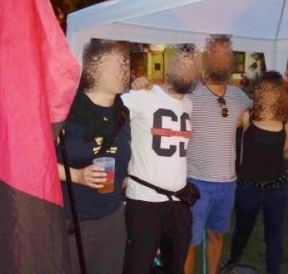 So, together with another collective which faced the same problem, they decided to organize a benefit party on Saturday 29th July, to which they also invited us. Last time we met in Bratislava in 2014, when we organized an international conference entitled Problems at Work?, so we were curious how our comrades have been doing since then. Last year in June, Priama akcia won a conflict related to owed wages. We informed about the conflict the same month. This year we created a short video from the footage we made during the conflict, which you can watch here https://www.youtube.com/watch?v=f0xSaAGVAXg (includes English subtitles). Feel free to share and spread. On Saturday 18th of March, the Presentation of Anarcho-Syndicalist Groups took place in the Prague autonomous center Klinika. The event was organized by the Prague solidarity network Solis with speakers from Solis, Lithuanian solidarity network Gyvenimas per brangus (Life Is Too Expensive), Solidarity network Chceme bydlet! (We Want Housing!) and two sections of the International Workers’ Association (ZSP and PA). We hereby thank Solis for the invitation and organization of the event. Here are a few of our observations. In the first half of May 2016 Priama akcia entered a wage theft conflict against CATO Agency after we had been contacted by Martin asking for help with his unpaid wages. It took less than a month of activities and here is the good news – the company paid up. Our protest and direct action tactics proved effective once again. We would like to thank to everyone who spread information about the conflict and showed support to Martin. Priama akcia entered a wage theft conflict against CATO Agency which has not paid one of its workers. We would like to ask your organization, as well as your members and supporters, to send protest e-mails to CATO Agency. 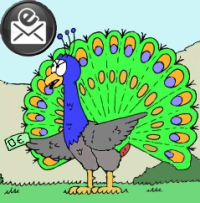 The more people send an e-mail, the better. The international e-mail campaign starts on June 1st and lasts until June 7th. Priama akcia decided to take a stand towards the restriction of the freedom of speech of puppeteers during the World Puppetry Day (21st March). In solidarity with the puppeteers from Títeres Desde Abajo, who face up to seven years in prison for the absurd charges of terrorism for their play Witch and Don Cristóbal, we organized a protest visit to the Spanish embassy in Bratislava, and activists in Košice visited the Spanish consulate. On the same day, we also published an extensive article on the recent attacks against artists in Slovakia and Spain, and also prepared an interview with a Priama akcia member, who is an amateur puppeteer. In the first half of November 2015, we started a conflict with the NGO Divé maky concerning unpaid remuneration for their former worker Michal, who approached us and asked for help. After more than two months we have good news – Michal received the whole amount of 950 € to his account on the 22nd January 2016. Despite the fact that Divé maky used threats, defamation and intimidation against us and Michal during the whole conflict, it did not help them. The tactics of protests and direct actions proved to be effective. We want to thank everyone who spread the information about the conflict and expressed their support for Michal. Teachers in Slovakia have begun an indefinite strike today. They demand higher wages, more money to be invested into education and changes in the system of teachers’ further education. The strike is organized by the Initiative of Slovak Teacher (ISU; www.isu.sk) which is an independent network of teachers regardless of union affiliation. You will find more information about events that led to the strike in the next External bulletin of the International Workers’ Association. At the end of last week representatives of the IWA Secretariat visited Slovakia and met with members of Priama akcia union (IWA Slovakia). The major topics of their discussions were issues related to illegal employment, onerous contracts and unpaid wages in both neighbouring countries. Representatives of the IWA Secretariat were particularly interested in the development of the conflict of Priama akcia with NGO Divé maky, shared experiences from conflicts and gave impulses for next steps. They wanted to personally meet with Mgr. Barbora Kohútiková from Divé maky who is responsible for the situation. However, no one was in Divé maky office on Monday forenoon, so a message was left in the mail box and on the doors. The situation was discussed also in form of an interview. On Thursday, 29th January, Priama akcia (PA) union organized a protest action in front of the Amazon branch in Bratislava, in solidarity with workers in two Polish warehouses who stood up against the practices of Amazon and started to organize with support of Związek Syndykalistów Polski (ZSP). Solidarity Network from Most (MSS) would like to ask you to send this protest e-mail to the Social Affairs Department of Most City Hall. Its employee from the Department of Social and Legal Protection of Children abused her position and violated the rights and dignity of a seven-year-old Jakub G. You can show your support easily by filling this simple e-form with a model protest letter that will be sent to the department. 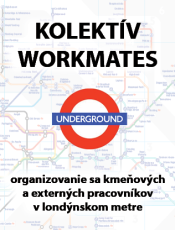 This is the second conflict of the MSS preceded by a victory in the case against Zepter International Ltd. from last year (see the article Solidarity Network from Most, Czech (MSS) got unpaid commissions from Zepter). On Thursday 5th June union Priama akcia organized a protest in front of Polish embassy in Bratislava. The ambassador was not present but a letter showing support to the demands of the former workers from the Belchatow hospital was given to the advisor of the ambassador. The advisor listened to the reasons of the protest, expressed understanding in the context of insecure jobs of everyone these days, promised to give the letter to the ambassador and inform the responsible authorities in Poland. We would like to thank all those who participated in the action. The women can be supported by sending a model protest email via e-form here soli.zsp.net.pl/protest-letter/emailpage. We are happy to announce that the conflict with Zepter International Ltd. in the Czech Republic, in which Priama akcia actively participated, ended up in a victory for the MSS. 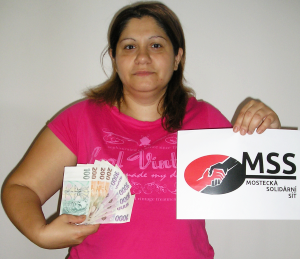 In May 2013, the MSS were contacted by Žaneta, who worked for Zepter. She asked for help after her local manager Jiří Ozaňák had refused to pay her commissions she was entitled to. In a fraudulent way he had transferred them to the account of his relative Karolína Ozaňáková. The management of the company refused to address the problem and disputed its existence. Only after a series of collective direct actions the commissions were paid out. What follows is a description of the conflict from the beginning to its victorious end, including reflections on its significance for the future, written down and originally published by MSS.